On my recent shopping trip at The Real Canadian Store, I stumbled across a delicious find in the Asian snacks aisle: Nestle Green Tea Kit Kat Mini Bars. Priced at $5.49 for a bag of 12 individually wrapped bars, these Kit Kats are imported from Japan. 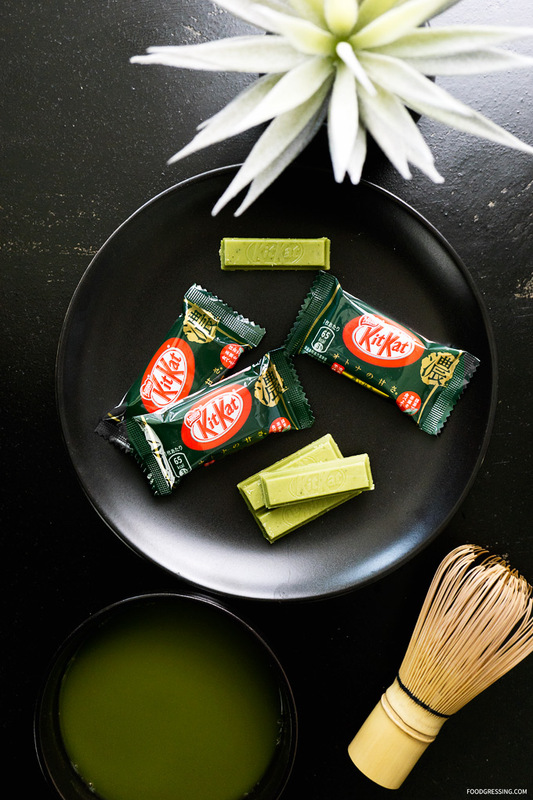 The Nestle Green Tea Kit Kat Minis have the signature Kit Kat crispy wafer but surrounded by white chocolate flavoured with matcha green tea from the Uji, Kyoto. Each individual package has 1 chocolate bar with double mini fingers. The two mini chocolate fingers together have 70 calories, 4.5 g of fat, 7 g of carbohydrates and 0.5 g of protein. It was love at first bite for me as I might love this flavour more than the trademark Kit Kat flavour itself! 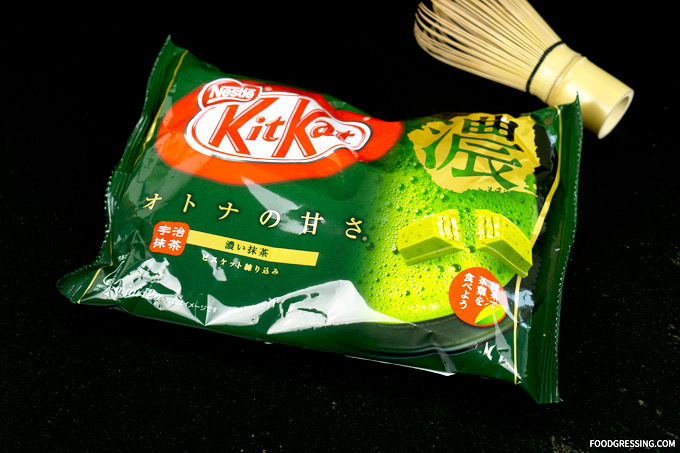 You could really taste the matcha which was in perfect balance with the creamy white chocolate. The proportions of matcha to white chocolate was just right. It was sweet but not overly sweet and I liked how there was no matcha bitter aftertaste. Disclosure: The links below are affiliate links, which means I receive a commission if you click a link and make a purchase. While clicking these links won’t cost you any extra money, they will help us keep this site up. Thanks for the support! Aside from your local superstore, you can buy the Nestle Green Tea Kit Kat Mini Bars on Amazon for $4.99. 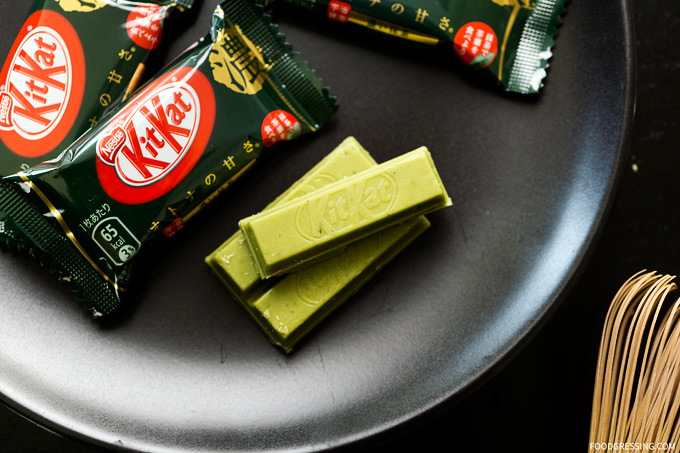 The Nestle Green Tea Kit Kat Mini Bars were really delicious and addictive! 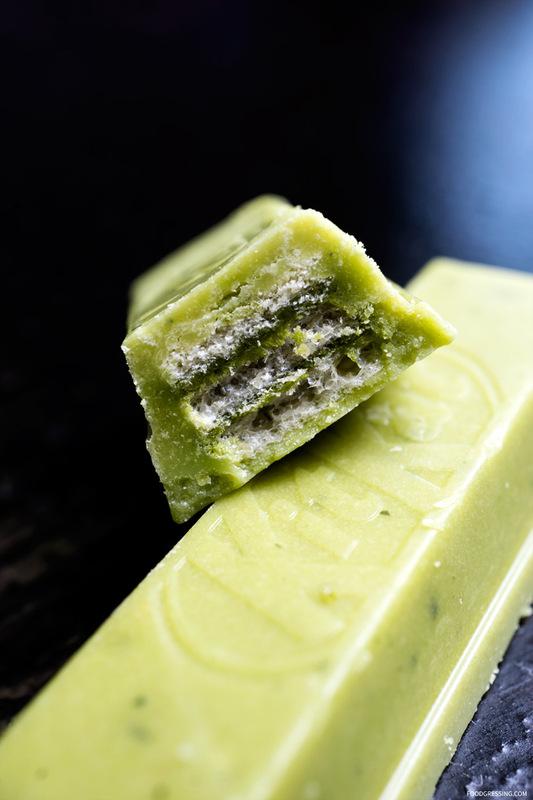 Great matcha flavour in balance with creamy white chocolate. I would recommend this to green tea lovers.